Studies have shown that vacations are healthy; taking a vacation can make you feel less fatigued, improve your mental balance and create a better sense of well-being. But it can be hard, and even stressful, to take time off work and plan an extravagant week-long trip. Thankfully, beautiful Florida is a vacation destination all on its own, and you don’t need to take a long vacation to feel recharged. 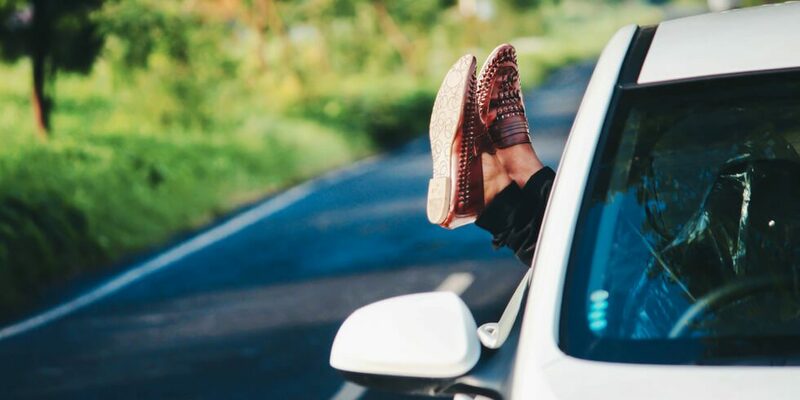 A quick, easy, stress-free day trip could be just what the doctor ordered. Located just 45 minutes from Shearwater, Palatka is sometimes referred to as the City of Murals. Pick up a mural map at various locations downtown and drive around to get a feel for the city and learn more about the area through these gorgeous illustrations. You can even step back in time at the Bronson-Mulholland House, a fully-furnished and restored 1800s home that’s available for free, guided tours.For a dose of fresh air, visit the Ravine Gardens State Park, home to multiple hiking trails and two huge ravines with a spring-fed creek at the bottom. Then head over to Riverfront Park for a romantic sunset stroll along the river, the perfect end to the perfect weekend getaway. For a day full of classic Florida fun, head over to Amelia Island, located just over an hour away from Shearwater. Start off the day with brunch at any of the delicious restaurants in Historic Downtown Fernandina Beach, then stroll along the harbor front and check out the eclectic collection of shops. And don’t forget to stop by the Amelia Island Museum of History, where you can learn about over 4,000 years of Florida history.Spend the rest of the afternoon at Fort Clinch, where you can fish, swim, sunbathe and even hunt for shells and shark teeth along their three-mile shoreline. Or for a thrilling adventure, depart on one of the many different dolphin and whale watching tours! Ponce Inlet is located approximately an hour and a half from Shearwater, but the drive is well worth it! Start off the day at the Ponce de Leon Inlet Lighthouse & Museum to see what the days of old were like and explore the tallest lighthouse in Florida. Just steps away, you can visit Lighthouse Point Park, a 52-acre park where you can hike, fish, swim and enjoy the local wildlife.Spend the rest of the day at the Marine Science Center, where you can see all kinds of marine life and recovering sea turtles, or at the Dunlawton Sugar Mill Gardens, home to over 10 acres of gorgeously maintained botanical gardens. Wrap up the evening at Sunglow Fishing Pier, where you can watch the sunset and have a delicious seafood dinner at Crabby Joe’s. Conveniently located with easy access to great schools, shopping and entertainment, Shearwater is one of St. Johns County’s fastest-growing communities. To learn more, join our Interest List to receive news and updates.